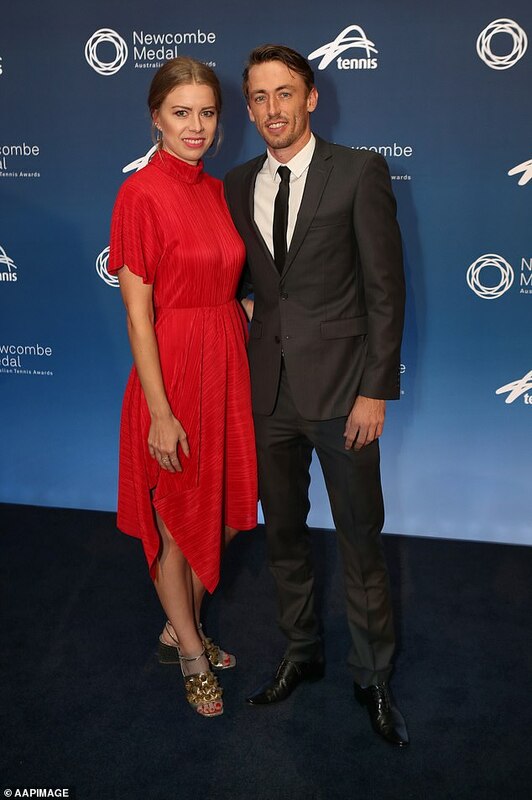 A passion for tennis sparked a budding romance between Australian star John Millman and his stunning girlfriend. 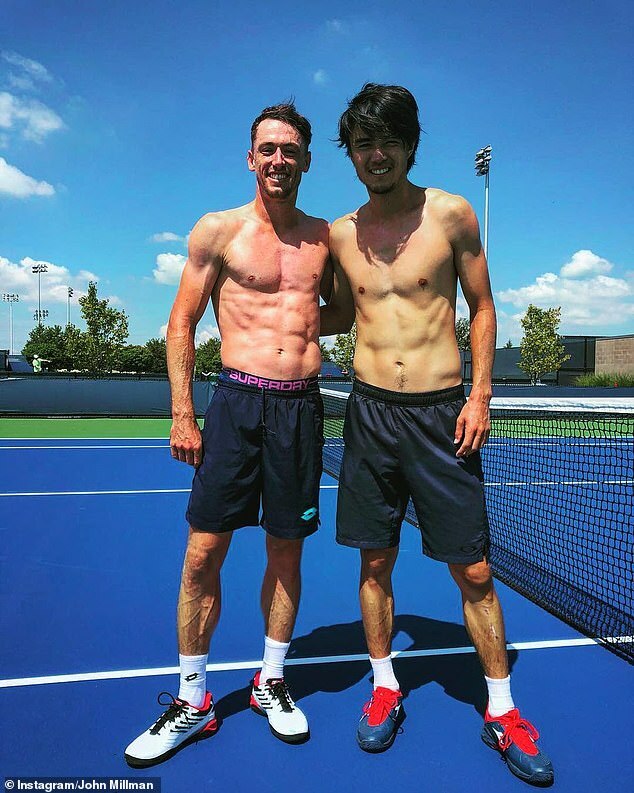 The 29-year-old Brisbane-born player was barely making enough to scrape by while playing club tennis in Germany when the pair crossed paths. Fee Maeueler was behind the counter at the club making coffees when the young player struck up a conversation with the German beauty. 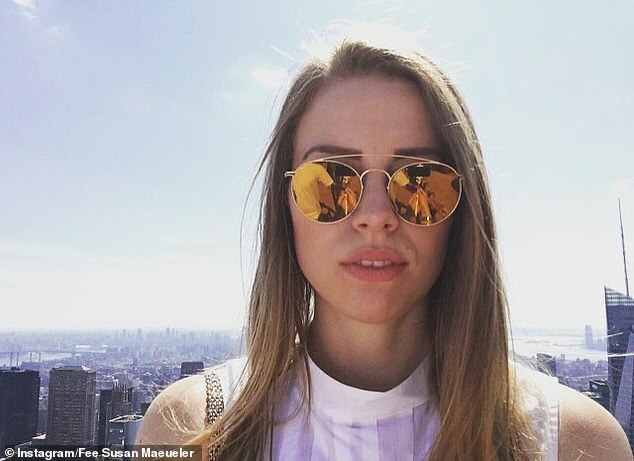 The club was owned by her grandparents and she worked there part-time while studying fashion marketing. The couple have been together for more than two years, but it hasn’t been all smooth sailing. 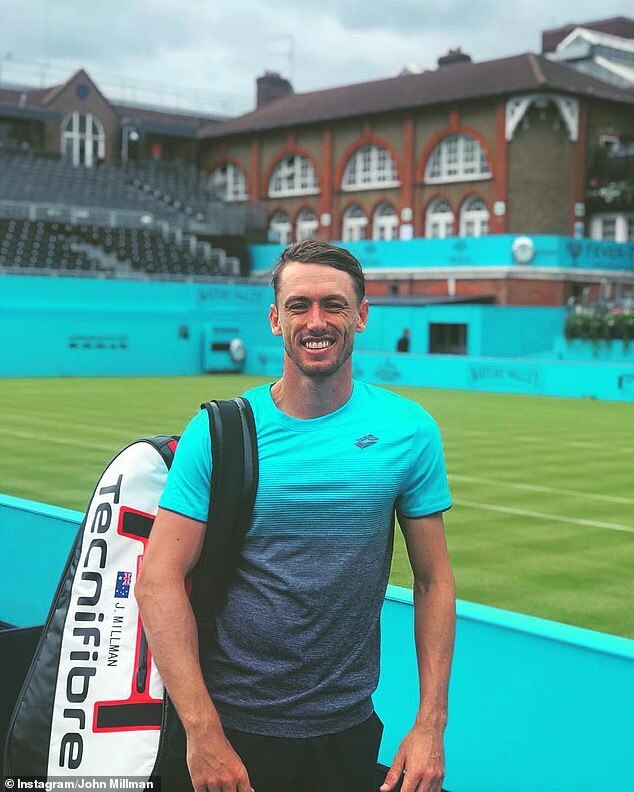 Millman’s career requires a lot of travel and the pair have had to make the relationship work long-distance at times. ‘Fee has put up with a lot of the starts and stops in my tennis career,’ Mr Millman told the Courier Mail. Ms Maeueler has been there through the ups and downs of his career. 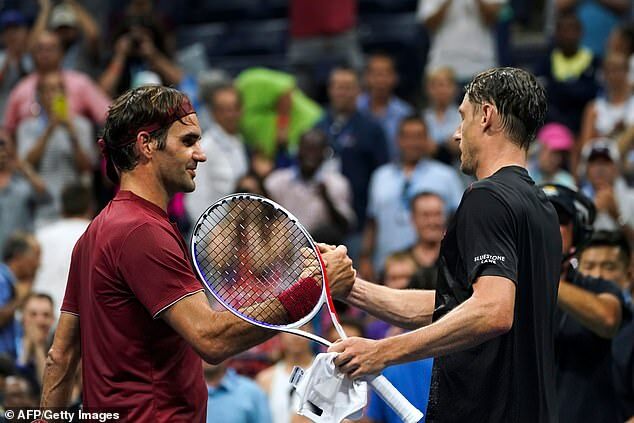 Millman shot to fame after causing one of the biggest tennis upsets of all time when he beat 20-time grand slam champion Roger Federer in the US Open. Ms Maeueler was in the crowd cheering on her man when he defeated the great Federer. Cameras caught the moment Ms Maeueler and friends celebrated Millman’s unbelievable win. Ms Maeueler could be seen grinning from ear to ear and a friend hugged her from behind. Her Instagram post from the night was captioned: ‘An unforgettable night’.